It’s time to freshen up your trusty arsenal of specs with a new addition from Zimco Optics’ Blu collection! 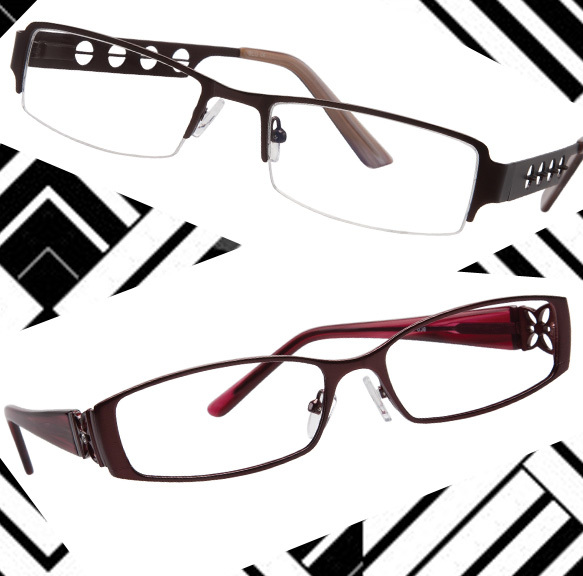 These two new frames, one for the ladies and one for the gents, mix traditional style with avant-garde design for a fresh new look. Blu 104 draws from art deco influences with its cut out temples and clean lines. This semi-rimless men’s frame is both modern and timeless and is perfect for anything on your schedule, from a business meeting to a night out with the boys. For the ladies, Zimco Optics offers Blu 108, a feminine frame with thick zyl temples. A cut out flower with a bejeweled center adds a sassy twist to these soft, butterfly specs. We’re sure you’ll be racking up the compliments when you sport this classy look.